2. 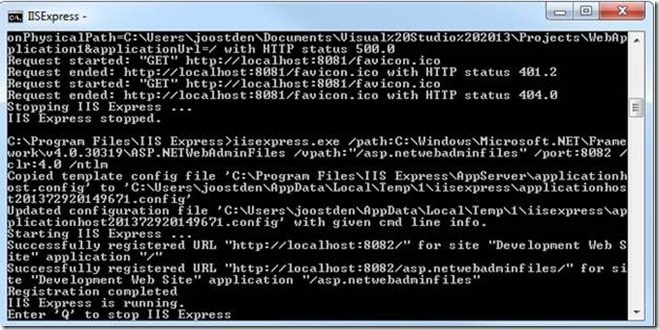 Navigate to the folder where IIS Express is installed on your machine. Substituting the [appPath] with the absolute path to the Visual Studio Project folder with the solution file in it. How to Become a Great Leader? How to Self-Promote without Being a Jerk?